BRYAN EATON/Staff photo. 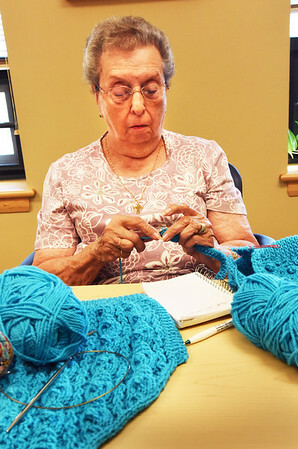 Mae Kelleher of Amesbury is one of several who meet on Tuesdays for the Busy Needles group at the Amesbury Senior Center. She was making a sweater for an upcoming church fair for the Holy Family Parish.